Information missing - contribute to JMA, by filling this information using the left menu member zone link "Edit album infos". This function is only available to JMA Collabs. 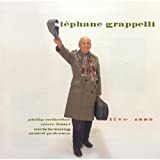 No STÉPHANE GRAPPELLILIVE 1992 reviews posted by specialists/experts yet. 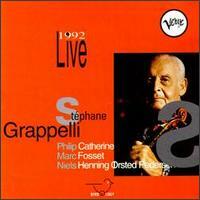 No STÉPHANE GRAPPELLI LIVE 1992 reviews posted by members yet. No STÉPHANE GRAPPELLI ratings only posted yet.